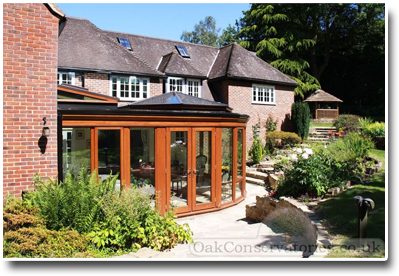 We will design & build you a beautiful exclusive oak orangery or a hardwood orangery in another timber. 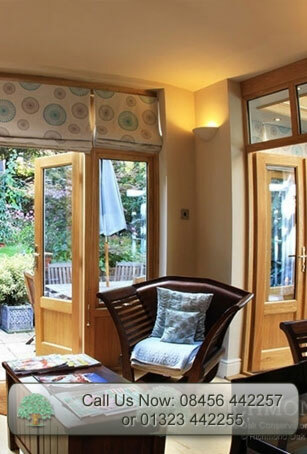 Why do people choose orangeries instead of conservatories? 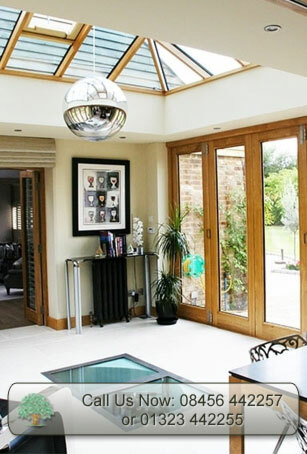 You have probably heard the saying, “People in glass houses shouldn’t…” and orangeries can offer more privacy from neighbours than typical traditional conservatories. 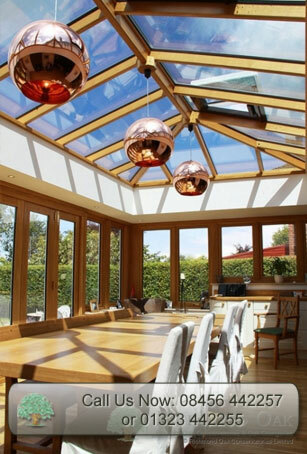 Our clients frequently specify a kitchen orangery or a dining room orangery for other reasons as well; architecturally an orangery will complement certain traditional house styles more pleasingly than a conservatory and thermal efficiency is particularly good when compared with a typical conservatory. 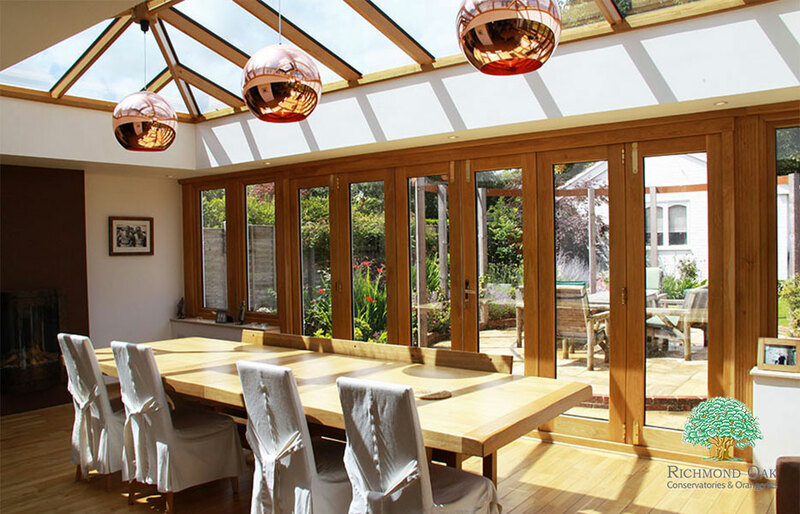 An orangery is an extension with a lot of glass, providing true additional living space and not only provides a ‘Wow’ to your home, but will definitely add proportionate value. 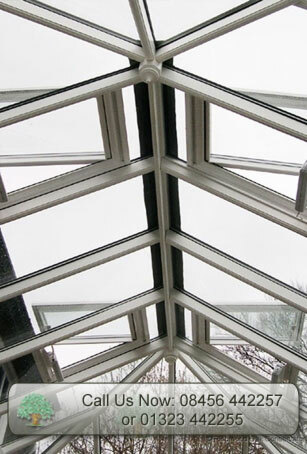 There are also practical reasons why the partial flat roof of an orangery can solve a difficult structural detail where a pitched conservatory roof wouldn’t fit, such as an overhanging first floor bay window or low pitched roof. 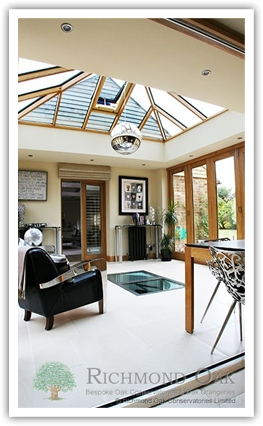 It can also be designed to allow access to windows, painted walls and guttering above. 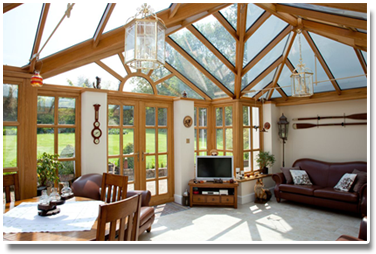 Why Richmond Oak for your Orangery Project? 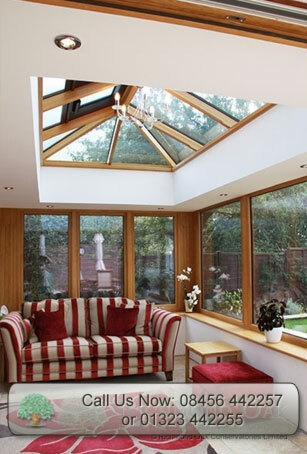 We often get asked, what's the difference between an Orangery and a Conservatory? 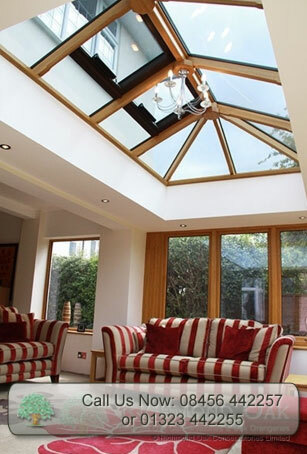 In simple terms, a conservatory has 75% or more of its roof glazed, whilst an orangery typically has a part flat roof and one or more glazed lanterns. 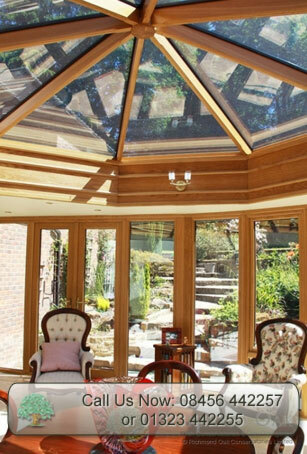 Because the orangery normally has less than 75% of the roof glazed, the orangery becomes more like a light spacious room during the day and has a unique ambiance created by low voltage, or LED, down-lighters in the ceiling to create atmospheric lighting at night. 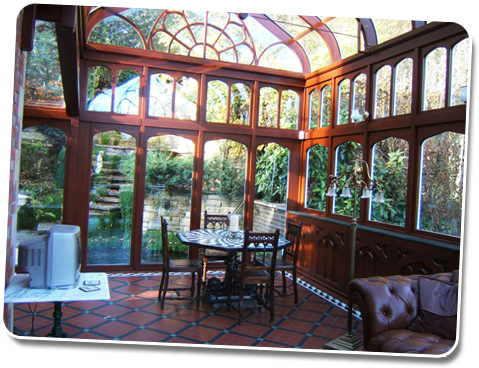 If an orangery has a floor area of over 30 sq.m, or is open-plan with the room behind, it will requires full building regulations. 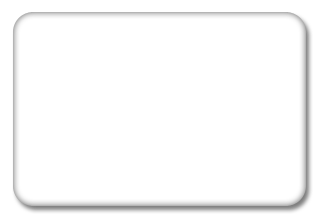 This is not a problem. 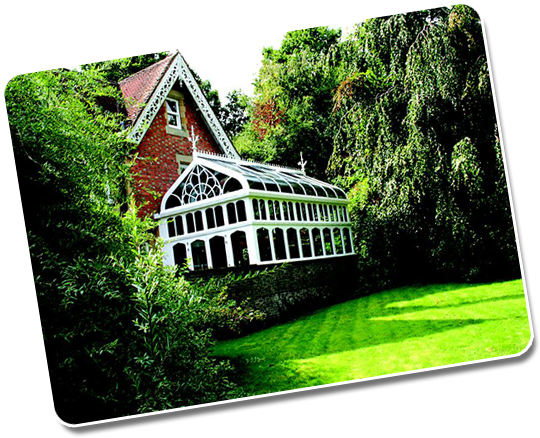 Currently 30% of our work falls into this category and we deal with and listed building, planning, or building regulations requirements on your behalf. 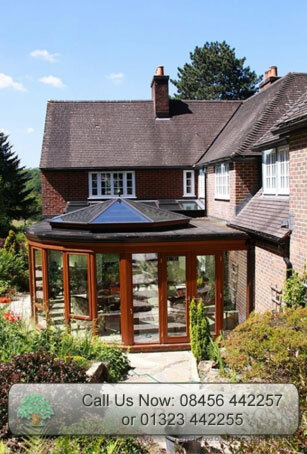 On hot days, the orangery with its flat roof, greater wall area and one or more roof lanterns will protect the interior from excessive heat and during the colder winter months the walls and flat roof of an orangery will provide more insulation than an all-glass extension. 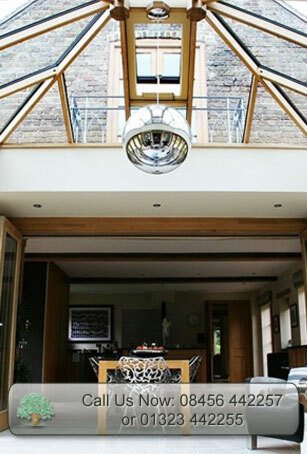 You’ll still enjoy plenty of natural light through the sides and the roof lanterns and you can use the room all year around. 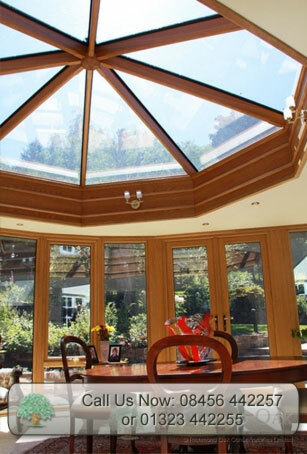 Whilst we are probably the only company specialising in constructing our orangeries and conservatories in seasoned oak, which accounts for over 80% of our projects, we are able to offer a range of different materials, including other hardwoods, aluminium, or even the better quality PVC, in a range of woodgrain finishes and different colours. 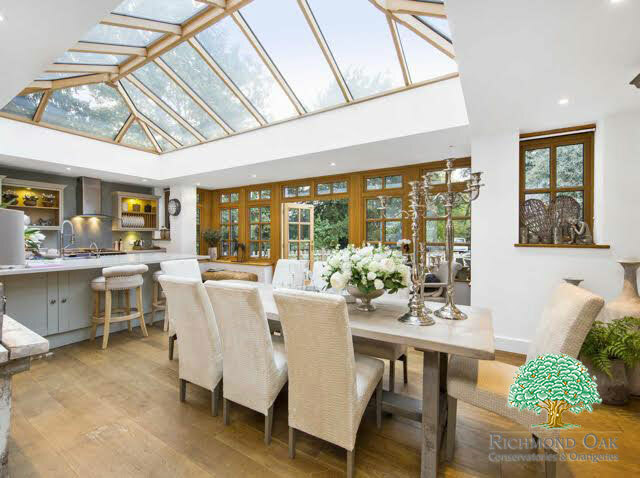 Richmond Oak is a family run business and the management has over 60 years expertise in designing and installing Orangeries, Conservatories and Garden Rooms. 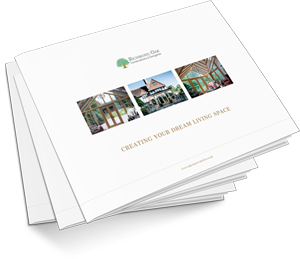 We have a highly experienced design team and I work with them on every project to ensure we assist you to create a design that will meet your greatest aspirations. 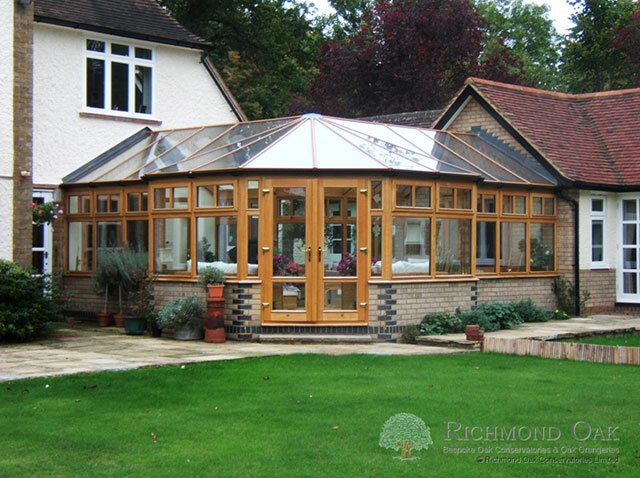 Richmond Oak Conservatories will deal with any planning, listed building consents, or building regulations and will ensure your installation complements your home to be the envy of your friends and neighbours. 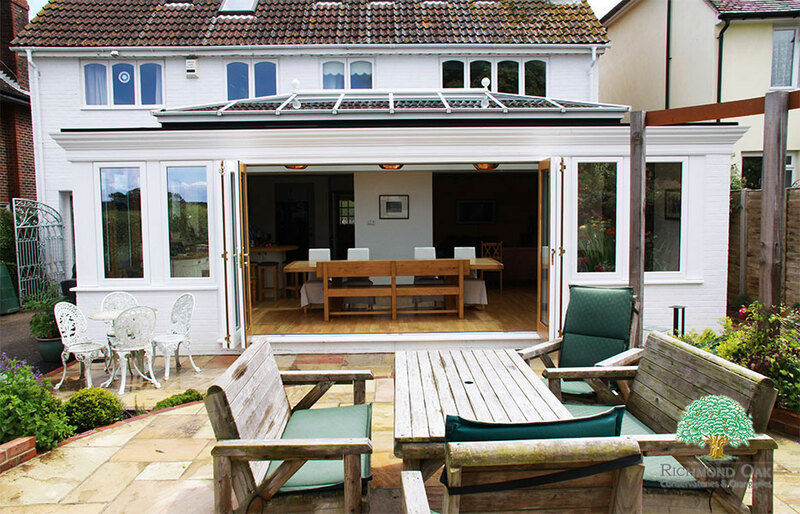 David was a most careful installer, and we are very pleased indeed with the result. 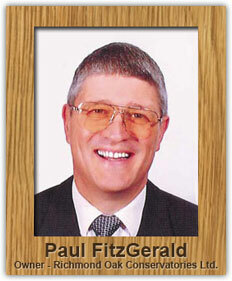 Many thanks for an excellent job. 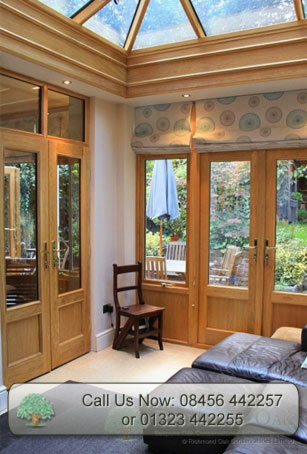 Your surveyor must also be worth his weight in oak! It seems a perfect fit! 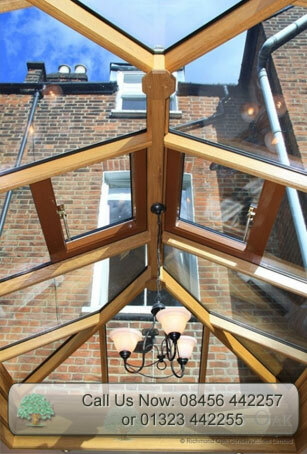 The Celcius Clear glass gives a natural feeling light and it has not been too hot or bright, even in the recent heatwave. 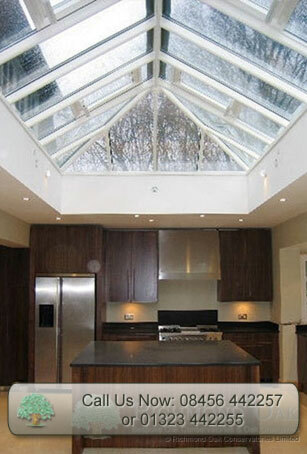 The installers were great and took a pride in their work. 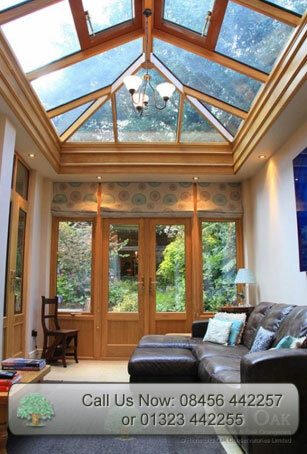 The conservatory looks great and can’t be faulted. 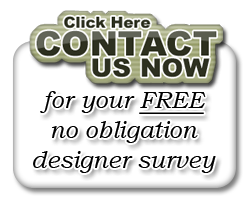 The guys expertise has shone through in the quality of the installation. Many thanks.